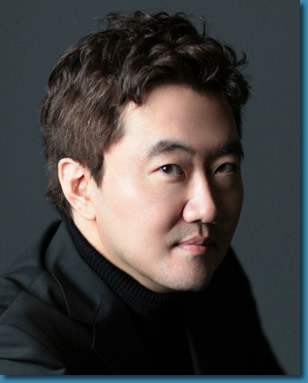 Baritone Hyung Yun has been acclaimed for his “subtle musicality and grand voice,” and regularly performs on some of the most esteemed opera stages in the United States. With The Metropolitan Opera, he has performed numerous roles including Valentin in Faust under Maestro James Levine, Ping in Turandot, Lescaut in Manon with Renee Fleming in the title role, and Silvio in Pagliacci. With Los Angeles Opera he made his début as Angelotti in Tosca and returned to sing Marcello in La bohème, Micheletto Cibo in Die Gezeichneten, and Lescaut in Manon with Rolando Villazón & Anna Netrebko under the baton of Plácido Domingo. He débuted as Ping in Turandot with the Santa Fe Opera and returned to sing in their 50th Anniversary Gala Concert. Last season, Yun returned to The Metropolitan Opera for their productions of Turandot and Madama Butterfly and performed the title role in Rigoletto with Ash Lawn Opera. He also sang in numerous concerts around New York City as part of The Metropolitan Opera’s 2017 Summer Recital Series. This season, Mr. Yun returns to The Metropolitan Opera once again for productions of Gianni Schicchi and La Traviata.